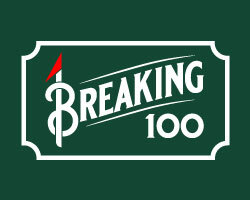 With the eyes of the golfing world focused squarely on Oak Hill Country Club in Rochester NY for the 2013 PGA Championship we decided to bring attention so some of the other great golfing opportunities that Western New York and the Finger Lakes district has to offer. Within a 45 minute drive of Rochester you will find over 60 golf courses including the four that make up the Finger Lakes Golf Trail. Cast your gaze farther west and you will find the Cattataugus – McKean County Trail which boasts 13 courses spread over two counties in Western New York and Northern Pennsylvania. A newcomer to the golf trail scene, The Cattaraugus - McKean County Golf Trail is a short dash from the border and covers 13 locales along the historic Allegheny River Valley. Nestled in the rugged southern tier of Western New York and Northern Pennsylvania, this spectacular corridor of natural beauty is home to an exciting destination for those looking for a great value golf get-away. A right turn from the Peace Bridge in Buffalo connects you with US 219. Driving south you are greeted by the beautiful rolling hills, valleys and rugged mountain landscapes of the government protected Allegheny National Forest. This half million acres of natural beauty surrounding the enormous Allegheny Reservoir is the namesake of the ancient river way used by generations of First Nations. 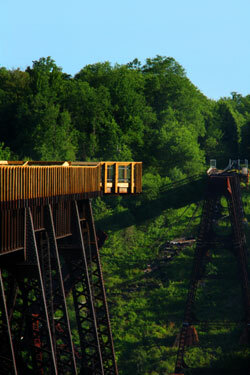 Today it provides any outdoor lover with a world of trails, waterways and wilderness. The Pennsylvania gateway leads to Bradford and its long connection to the oil industry. Home to the first billion dollar oil field, Bradford’s eclectic core is now best known as the home to an American icon, the Zippo lighter. Manufactured in town since 1933, a visit to the recently renovated Zippo / Case Museum is a must see. The nearby Kinzua Skywalk, a massive trestle bridge dating back to the late 1800’s, partially collapsed by a tornado, gives a glimpse into the areas industrious past and the power of Mother Nature. 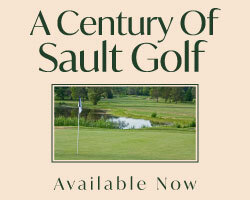 Trail golf options are plenty and varied. Ranging from Holiday Valley’s Double Black Diamond and its highly acclaimed redesign playing up and down the ski slopes, to Penn Hills, the private Walter Travis design, to the Kane Country Club’s century old beauty and everything in between. Featuring a mix of 18 and nine hole facilities you can play as much as you like or build a trip to include golf with the variety of activities this areas has to offer. This collection isn’t made of world-class facilities with their big price tag, but you will experience creative layouts, great value and splendid hospitality. Accommodations along the Trail are as varied as the golf experiences. Charming B&B’s, chain hotels and unique resort properties welcome Trail visitors. The Seneca Allegheny Casino and Resort in Salamanca hosts guests looking for a little thrill to accompany the refined luxury of a stay at the state of the art complex. 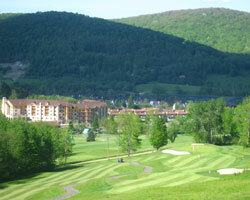 The Tamarack Club provides elegance and comfort at the clubhouse at Holiday Valley. The Lodge at Glendorn is an enchanted resort providing guests with a pampered elegance in a beautiful natural setting. This romantic enclave is a perfect locale to rejuvenate and reconnect without a care in the world. Whatever type of stay and play option you seek it can be found here. The Cattaraugus - McKean County Golf Trail is a blend of great value golf in an area rife with opportunities to be captivated by all the Allegheny National Forest can offer. A blend of primitive to pampered lets you decide which experience is right for you. A quick hitter from the border, this newcomer to the golf trail scene should get consideration as a destination for fun, and memories. If you are planning on taking in the PGA Championship this summer consider taking a few extra days to poke around the world famous Finger Lakes region and tackle four of the most challenging and picturesque area courses which make up the Finger Lakes Golf Trail. The golf courses at Mill Creek, Bristol Harbour, Greystone and Ravenwood have teamed up with accommodation partners Bristol Harbour Resort (Canandaigua), Woodcliff Hotel and Spa (Fairport), The Holiday Inn Express (Victor), Hampton Inn (Victor) and the Best Western (Victor) to offer a variety of stay & play opportunities. At 6,700 yards Bristol Harbour is a Robert Trent Jones gem and is a tale of two nines. The outward nine is fairly wide open with magnificent views of the Canandaigua Lake and the surrounding hillsides while the inward nine is carved through the woods and presents the beautiful scenery of the Bristol Hills. bristolharbour.com. For those who have a taste for the grape time spent après golf touring the Canandaigua Wine Trail is a must. 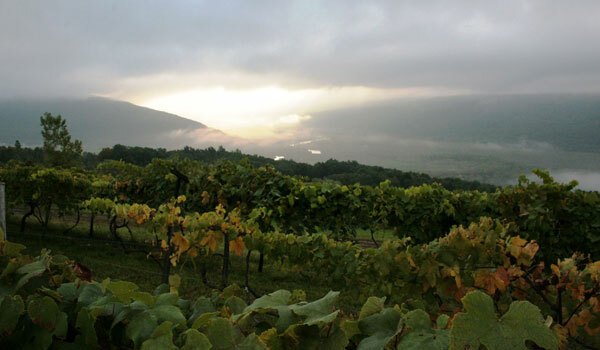 The Trail is a collection of award-winning wineries, wine centers, restaurants, shops, art galleries and scenic attractions surrounding Canandaigua Lake. The Trail winds its way through the Victor, Canandaigua and Naples communities with each offering its own distinctive experiences. The artistic gifts of local Finger Lake artists are staple wears for local art galleries and are a highlight of the Wine Trail.